Prime Minister Narendra Modi attacked the Opposition over several issues. 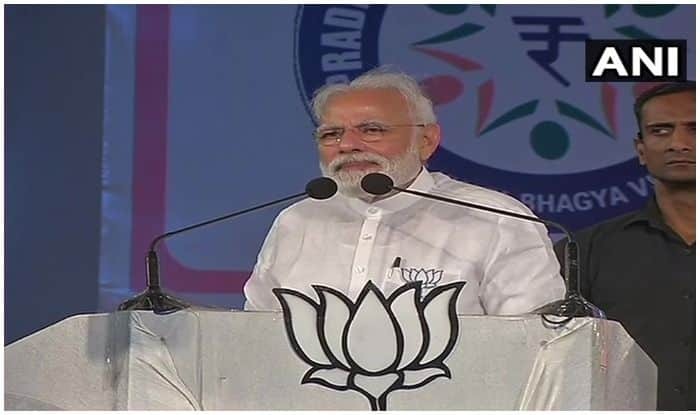 Bengaluru: Prime Minister Narendra Modi while addressing a rally in Bengaluru trained his guns at Opposition stating when Congress’ ‘mahamilavati remote government’ was at the centre, the nation was living under fear of terror attacks. Calling himself a ‘chowkidar’, he asked the gathering, “Did any major blast take place in the last five years of your “chowkidar’s chowkidaari?” He added that it was the power of a single vote that made it ‘his chowkidaari’ successful. Stating that he had his own ways of dealing with blasts and terror attacks, PM Modi went on to add that unlike Congress, he does not take the escape route. “When blasts used to take place in the nation, the Congress government used to change its Home Minister and put the entire blame on one person but Modi doesn’t change the Home Minister, Modi changes the ways, ” the PM added.